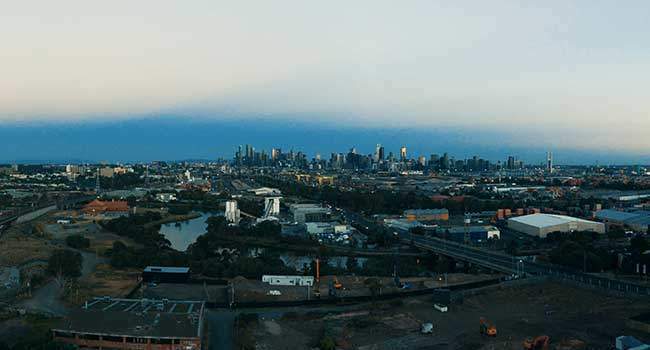 WHY GO WITH AN SEO CONSULTANCY SERVICE IN HEIDELBERG WEST, MELBOURNE? Our┬аSEO consultancy service┬аwill provide you in-depth website audit and report as listed below before you┬аbegin any on-page SEO. 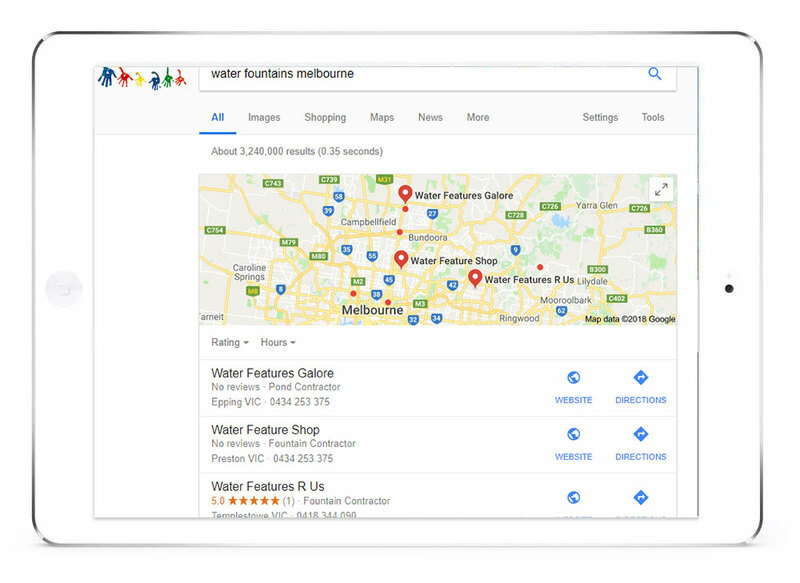 We provide SEO expertise and services to businesses in┬аThomastown, Bundoora, Reservoir, Epping, Preston, Mill Park, Nortcote, Thornbury┬аand Surroundings. If you like to meet up in person please┬аcontact us. Being a small business owner, we understand that the budget is tight but it doesn’t mean you should neglect Local SEO and Organic SEO. We assist businesses below to work with their budget; SEO services from $499 per month. We got our clients to the top of Google Maps above Organic rankings. Do you want the same results for your business? We are committed to getting you where you need to be, and that’s to been seen anywhere and everywhere in the digital space. 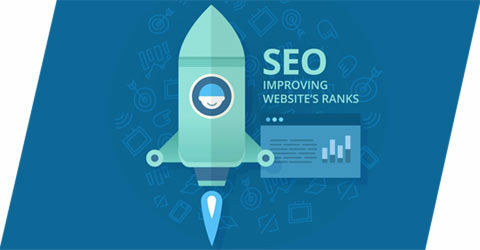 By hiring an┬аSEO consultant Melbourne┬аwill provide your business an in-depth report with the current SEO rankings. 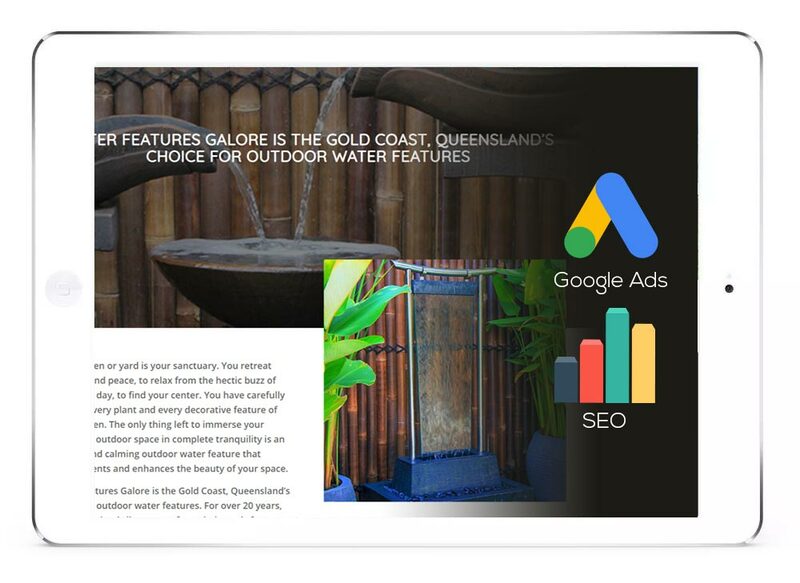 Report that will give you a better understanding about your website such as your current keywords ranking, duplicate content, junk back links and your how your competitors are doing. Hiring an┬аSEO consultant in Melbourne┬аwill provide you a second opinion about your┬аsearch engine optimisation┬аstrategy. Having a second opinion will save you money in the long term. You are able to decide from the report if you like to continue your SEO campaign or move on to another SEO agency that is more┬аtransparent┬аabout their work. Think of us as your┬аlocal┬аSEO expert┬аto guide and help your business be successful online. Make sure your website can be found via local search terms and Google maps тАУ ask us how. Wait! Are You Making Your Return on Investment? 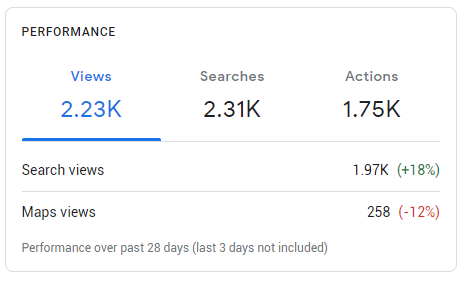 You could be spending thousands of dollars on SEO each month and should be able to tell the success from the campaigns, right? How would you know if your business is booming from SEO? It is from the report you receive each month on how well your keywords are ranking? As a business owner you should be worried about your return on investment. But how would I measure my success? The best possible solution for any business owner with a website is to hire an SEO consultant service in Melbourne. Why? Because an SEO consultant Melbourne will use their analysis experience and┬аgenerate in-depth reports. 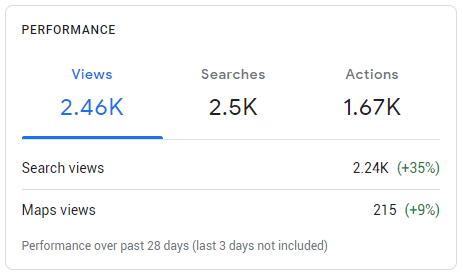 The analysis report┬аwill tell you the number of clicks you receive each month from the list of keywords chosen for your SEO campaign. From this report you can clearly determined how well your keywords are doing. Have your conversion been setup on your website to measure the number of people clicked on your phone number to call via mobile phones? If not, then how could you tell and measure your return. Our search engine optimisation┬а(SEO) consultancy service┬аcan help determine your local search phrases and rank them locally to really target consumers within your business region тАУ all done with our┬аlocal SEO services. Our┬аSEO Consultancy Service in┬а Melbourne┬аguru will setup conversion pages and phone clicks to help measure your success. 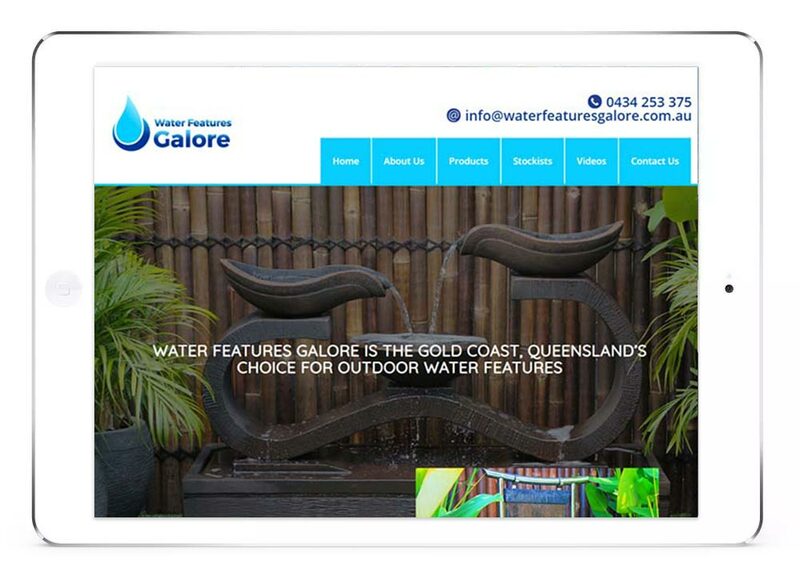 We have worked closely with Water Features Galore from the beginning when we launch their website to becoming one of the main players in Google for the key phrase тАЬwater featuresтАЭ and тАЬwater features MelbourneтАЭ. They went from zero traffic to getting over 1,300 clicks per month. 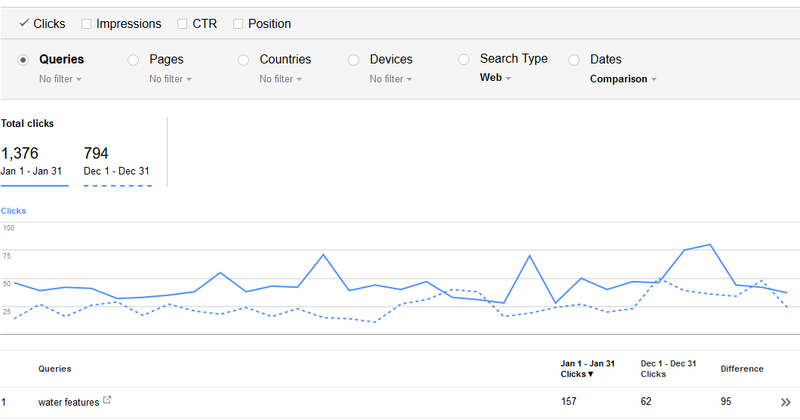 Compare from December, January has nearly doubled as we get higher and higher on Google. Here are the list of benefits when hiring an SEO consultant in Melbourne is knowing the return on your investment. Number of clicks received from your keywords. Number of consumers click to call on their mobile phones. Our┬аSEO consultancy Melbourne┬аfee can be based on an hourly rate of $80 or per project. Our basic┬аSEO report performance┬аis 4 hours of work, this will provide you with clicks report, conversion report/setup and number of visitors new and returns. 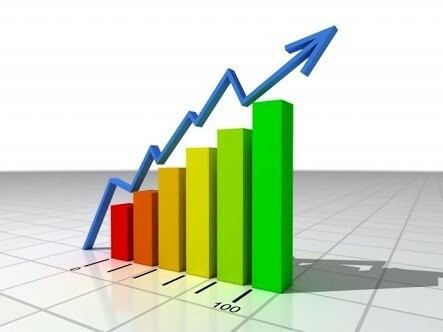 ItтАЩs great to see the increase traffic to your website but is your website converting your visitors? What you need is a consultant to turn your website into a conversion machine. WE SPECIALISE IN TRADES & DOMESTIC SERVICES. CLEANING, MOWING, CONSTRUCTION & MORE. Our SEO services are all done in-house right here in Melbourne; we are a local SEO company who provide transparent┬аSEO services┬аto local businesses without any contract. We do not outsource our services off-shore, we pride ourselves on providing local services to our clients. Understanding your local search terms for your online business can determined your SEO success. More and more people are now searching for long tail keywords and itтАЩs more targeted to their suburbs. We will work with you come up with a selection of keyword phrases to implement our SEO campaign. ItтАЩs important that your website are built with user experience in mind before implementing our on-page optimisation. Your website has to be mobile friendly, responsive web design is the technical word. This will make your website very responsive to different devices on the go. Great content implementation will provide your customer with useful information and are more likely to be share across the Internet. Infographics is a great way to share information to your customers and also video content. We worked with Tazmo Studio for our video production services тАУ your┬аcorporate video production company in Melbourne. We like to think of ourselves as your┬аSEO specialists in Melbourne┬атАУ bringing your online business to LIVE. Talk to us today on how we can help you succeed, we also provide┬аSEO consultant in Melbourne.